Israeli-American Oren Shlomo Mayer is suspected of killing Canadian Ramgahan Sanjay Ryan with machetes and dumping his dismembered body in a river in Taipei. 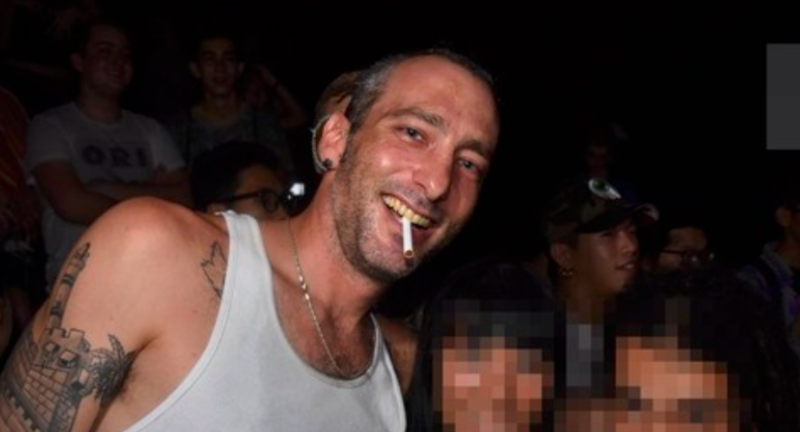 An Israeli-American wanted in Taiwan for the brutal murder of a Canadian is believed to have fled to the Philippines. Oren Shlomo Mayer is a prime suspect in the killing of English teacher Ramgahan Sanjay Ryan, whose dismembered body was found in a New Taipei city river last Wednesday (August 22). Mayer, often known as “OZ”, was next seen at about midnight on Saturday (August 25) boarding a Cebu Pacific flight to Manila from Taoyuan International Airport. The tattoo artist is accused of joining African-American man Ewart Odane Bent in ambushing, murdering and dismembering Ryan with machetes. The Apple Daily reported that after the killing, the two “happily” went to a supermarket to buy beers to take back to Mayer’s residence to celebrate. However, after the body was discovered, Mayer began to worry about being caught. Bent, who has already been arrested, told police that Mayer had asked him to flee with him, but he refused, believing that they would not be identified as the killers. Police said that airport surveillance footage showed Mayer wearing a red short sleeve shirt and shorts and carrying a backpack, with no luggage checked. In the footage, he can be seen casually joking with a woman who was waiting in line. According to the Apple Daily, Mayer was the “largest supplier of marijuana in northern Taiwan”. As his trade began to expand, he invited Bent to come to Taiwan and join the business. Like their alleged victim, both men maintained day jobs as English teachers. Police suspect that their victim was also involved in the drug trade, and that the motive for killing him may have been the fear that he was a police informant. On Friday, six other foreign nationals suspected of involvement were barred from leaving the country, including a Russian man and a female teacher from the United States. However, following questioning, all were released and removed from the list of suspects. Murder and drug-trafficking are capital offenses in Taiwan. He won’t spend 30 years in jail. He will get the death penalty. The US has no extradition treaty in force with Taiwan. His sentence will be carried out in Taiwan.